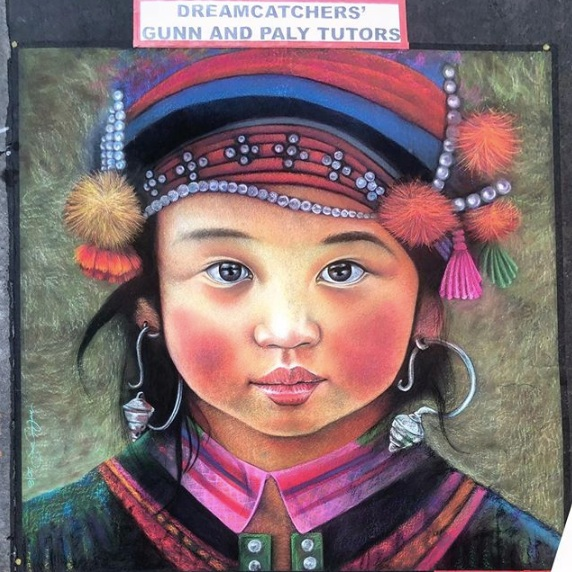 Marlon is an artist residing in San Francisco Bay Area and a native of Guatemala. His artistic interest began at the age of 5, but never really pursued it as a profession until 2008. His professional career began at the age of twenty seven when he started working at Whole Foods Market in Palo Alto, CA. 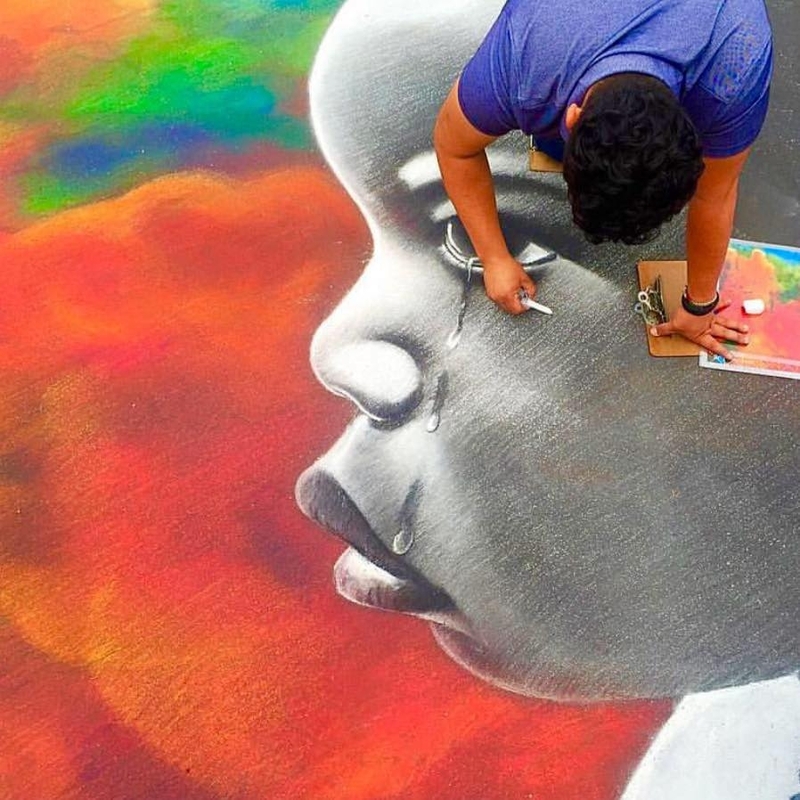 Marlon’s love for art grew quickly and led him to become the Regional Chalk Artist for Whole Foods Market in the Northern California/Reno Region. 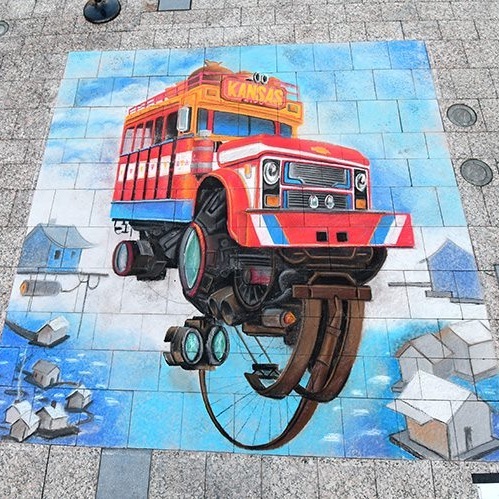 This also led to a variety of freelance murals in the San Francisco Financial District, and new startup companies in the SF Bay Area. 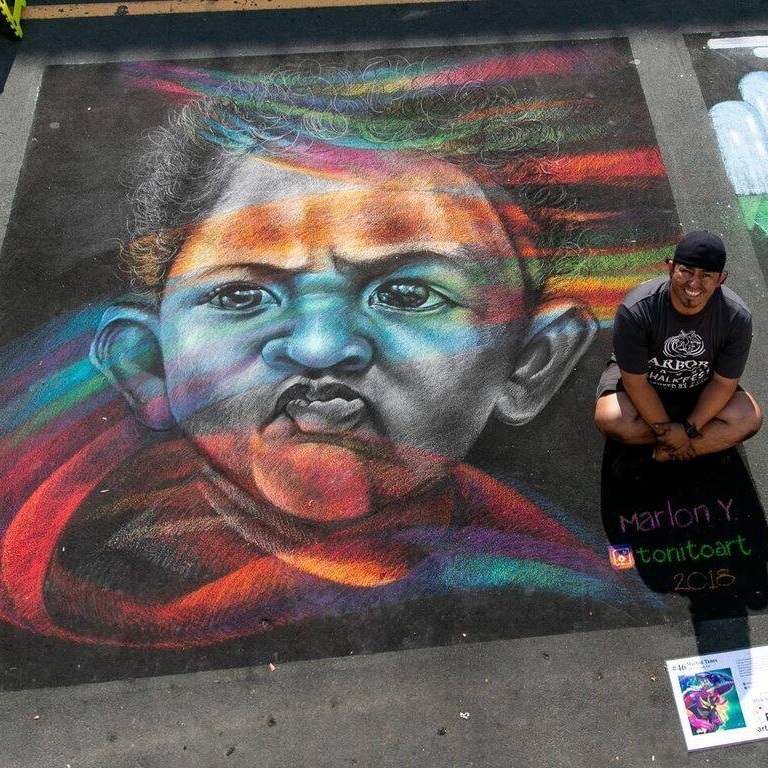 In 2008 Marlon participated in his first Chalk Festival in Palo Alto, CA and since then has participated in a few more around the bay. He has set his mind to participate outside of the bay area and even in some competitive festivals to help him grow as an artist.